House Republicans oppose progressive income tax. 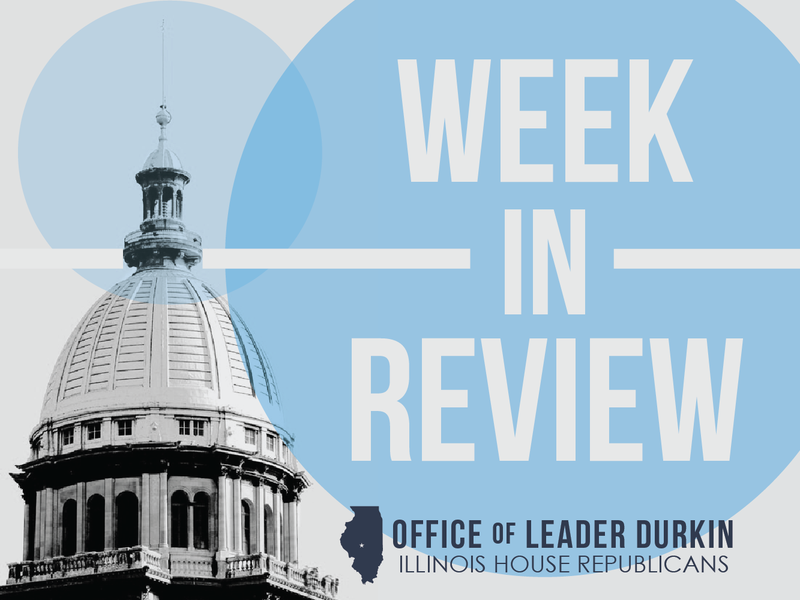 Illinois House Republican Leader Jim Durkin, along with members of the House Republican Caucus, filed House Resolution 975 Tuesday to state their opposition to a proposed progressive income tax on Illinois residents. Chief Co-Sponsors of the resolution are Reps. Peter Breen, Sheri Jesiel, David S. Olsen and Dave Severin. 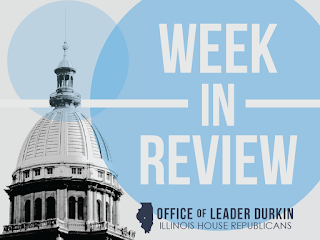 The HR 975 sponsorship list was significant because any amendment to the Illinois Constitution, including the flat-rate income tax mandate, requires a three-fifths majority in both houses of the Illinois General Assembly. The 50-sponsor list of supporters for HR 975 represents more than two-fifths of the Illinois House. 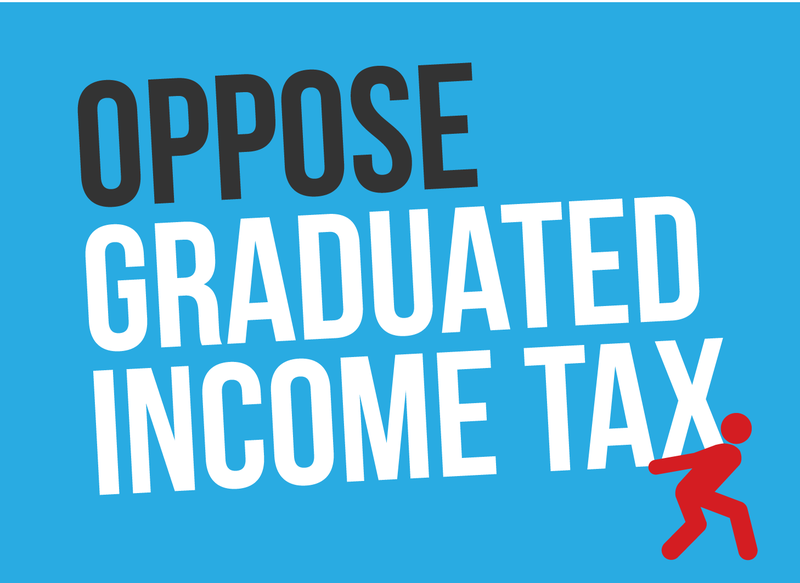 This support base demonstrated that no progressive income tax amendment can get through the House this spring in time to appear on the November 2018 ballot. The Constitution of Illinois, enacted in 1970, contains clear language mandating the General Assembly to enact an income tax structure that will have only two tax brackets: one for individual taxpayers and one for corporate taxpayers. Under this structure, Illinois income earners must pay taxes of 4.95% on almost all of their income. There are no complex bracket structures for different levels of income earned by a single taxpayer. States which lack Illinois’ flat-tax mandate can enact complex “progressive” income tax rates, which allows these states to charge higher taxes. In California, for example, the state income tax can be as high as 13.3% (12.3% plus a 1% “surcharge”). Chicago-area homeowners pay higher property taxes than 93% of U.S. Homeowners in the Chicago area are paying higher property tax bills, on average, than 93 percent of the country, according to a new report. The average 2017 tax bill on a single-family home in Lake County was higher than nearly 99 percent of the 1,414 U.S. counties covered by the report, released this week by Attom Data Solutions. Property taxes are especially high in Illinois due to the state’s overall high-tax political environment. House Republican measures such as HB 4066 (Durkin) have sought to enact comprehensive property tax reforms, including freezes on the levels of property tax “extensions” demanded by local taxing bodies that are used to generate property tax bills. However, these measures have all been bottled up in the House Rules Committee by the Democrat majority and have not been allowed to be debated or voted upon. State needs full-year balanced budget. Speaking to the press on Monday, April 9, Governor Bruce Rauner framed his overall legislative agenda around the State’s need for a balanced, full –year budget for FY19. The Governor’s call came in the context of widespread rumors in Springfield that some people may want a partial budget or a deficit budget for non-policy reasons. Rauner and House Republican Leader Jim Durkin are calling for the State to return the traditional practice of determining and certifying the revenues that the State of Illinois can reasonably expect to receive in FY19, the fiscal year that will begin on July 1, 2018. Once the revenue estimate is determined, the State can develop a budget and spending plan, including appropriations bills, to spend no more money than will come in. Fiduciary experts believe that a repeated demonstration by Illinois that it has returned to sound budget practices will enable the State to slowly retrieve the lost ground that it has suffered in its now-near-junk-level credit rating. New case count shows effects of “fake weed” outbreak. In new figures released on Monday, April 9, the Illinois Department of Public Health (IDPH) reported 107 Illinois cases of severe health complications from ingestion of synthetic cannabinoids. The cases included 56 hospitalizations and at least two deaths. The fake “cannabis” implicated in the outbreak had been laced with brodifacoum, an anticoagulant that is often used as mouse and rat poison. Ingesting brodifacoum can cause users to develop uncontrollable bleeding from their eyes, nose, gums, and urinary tract. The rogue drugs are sold in “head shops” and fly-by-night retail establishments under a variety of names, but are often referred to under their street names of “spice,” “K2,” and “fake weed.” Synthetic cannabis, if it contains THC or other cannabinol derivatives, is banned in Illinois under Section 3 of the Cannabis Control Act. 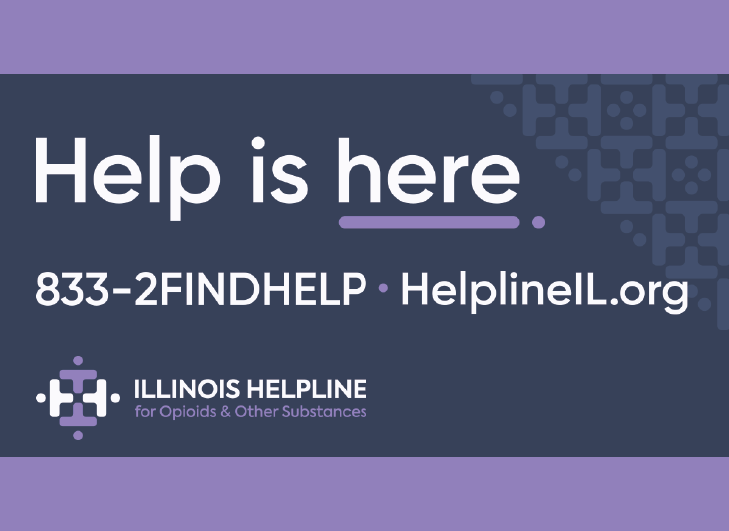 Quick action against the synthetic cannabinoid outbreak has been helped by the Illinois Poison Center, a nonprofit partnership and clearinghouse (1-800-222-1222) of information on toxic substances to which Illinois residents have been exposed. Governor Rauner requests federal assistance to help people recover from February floods. Gov. Bruce Rauner Thursday asked President Donald Trump to approve federal assistance to help people in Iroquois, Kankakee and Vermilion counties recover from severe storms and flooding in February. As video gaming proliferates, Rep. Jesiel pushes reform measure. In many communities throughout Illinois, local residents have seen a proliferation of video “gaming cafes.” While video gaming machines are separated by law from the category of casino slot machines and they cannot offer full slot machine gambling game play, their owners try to make the storefront machines look as much like slot machines as possible. Community leaders who are concerned about gambling have criticized the explosive growth of the video gaming industry and have called for measures to rein in the ongoing installation of more and more gaming machines. HB 4171 (Jesiel) was written after close consultation with a wide variety of local leaders and community groups, and it contains well-thought-out proposals to reduce – not eliminate – growth of the video gaming industry. The measure includes sections allowing local governments to enact ordinances to control local video games within their boundaries, measures to control the operation of “gaming cafes” where the operation of video gaming terminals is the clear and sole focus of the business, and measures to enable some of the tax money from video gaming terminals to be returned to local communities that are bearing the social burden imposed by unrestrained gambling machine play. On Thursday, April 12, Rep. Jesiel’s Motion to Discharge from Subcommittee prevailed, enabling discussion to continue on the measure. Governor signs SB 1451 to bring 5G wireless technology, jobs and economic growth to Illinois. Governor Bruce Rauner signed Senate Bill 1451 Thursday to standardize and streamline regulation of small wireless cell facilities, paving the way for 5G wireless and other technology in Illinois. Wireless demand is expected to increase five times by 2022. Small cell technology will help provide Illinoisans with faster download speeds, improved call quality and support Telemedicine, connected cars, distance learning, smart homes, smart farms and Smart Cities, creating a more connected network across the state. SB 1451 will also help improve wireless service in areas where large cell towers are not the best solution. It still ensures local governments retain their role and authority in the permitting process of telecommunications equipment by allowing them to exercise their zoning, land use, planning, and permitting authorities within their territorial boundaries, including with respect to wireless support structures and utility poles. Texas, Florida, Arizona, Kansas, Iowa, Minnesota, Indiana, North Carolina, Virginia, Connecticut, Rhode Island, and Vermont have already passed similar technology legislation. The Illinois law will compensate local governments at a higher rate than any other state’s small cell law. House committee advances bill to toughen penalties for texting while driving. The General Assembly has previously taken steps to sharply discourage the practice of “texting while driving.” Blamed for numerous traffic crashes, the habit of taking one’s eyes off the road and onto a cellphone to text is no longer legal in Illinois. However, current law allows a police officer who stops a motorist for texting-while-driving to let the motorist go with a warning. HB 4846 would change this law and provide for a $75 fine for a first offense. The act of texting while driving would become a formal moving violation with impact upon the driver’s motor vehicle insurance status and rates. The House committee vote on Tuesday, April 10 was 9-0-0, sending the measure to the full House for discussion and debate. Breen bill seeks to establish a 70 m.p.h. speed limit on Illinois toll roads. HB 5054 requires a consistent speed limit of 70 m.p.h. on all Illinois tollways, with the exception of I-294, which is due for reconstruction. The bill would also require permission by the General Assembly’s Joint Commission on Administrative Rules (JCAR) to post limits below 70 m.p.h. on those tollways. HB 5054 was approved unanimously by the House Civil Judiciary Committee on Tuesday, April 10 and advanced to the House Floor for further action. Illinois birthday to be observed by creation of new Bicentennial Plaza. The open-space plaza is being redeveloped immediately north of the Governor’s Mansion on Capitol Avenue, the processional way in downtown Springfield. Once the site of a major downtown hotel and a YWCA building, the city block has stood empty since the demolition of the buildings that stood on it. Extensive remediation of the block is taking place, including installation of large pipes to flow out the groundwater that wells up under this block. The block, a wetland in Abraham Lincoln’s time, is the actual site of the spring of water for which “Springfield” is named. Illinois, which became a state in 1818, has celebrated each of its previous 50th birthdays with major projects in the state capital city. In 1868, Illinois laid a cornerstone (now on display adjacent to the building’s northeast corner) for the current Illinois State Capitol building. By 1918, the State Capitol was no longer big enough to hold all of Illinois’ government offices, and the State began the construction of the nearby Centennial Building (now the Howlett Building). In 1968, Illinois purchased and rebuilt the Lincoln-era Old State Capitol. All three of these buildings, the Old State Capitol, the current State Capitol, and the Howlett Building, contain historical reminders of Illinois’ history and heritage. Adjacent to the Bicentennial Plaza, the Governor’s Mansion has been extensively remodeled over the past two years, funded by private donations. The Governor’s Mansion work will conclude with the reopening of the building this summer.